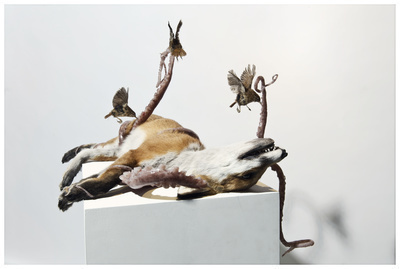 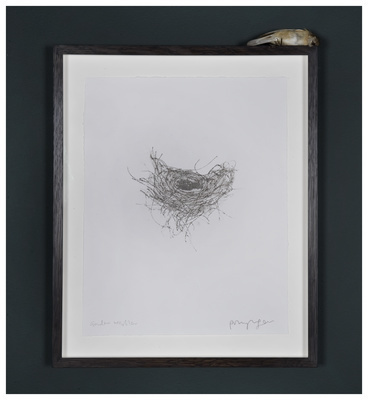 Polly Morgan is a British artist, whose practice places taxidermy subjects within unexpected settings, subverts viewer expectations and investigates the idea of the uncanny. Born in Barbury, England in 1980, Morgan began taking up taxidermy work in 2004, after studying with Scottish taxidermist George Jamieson. 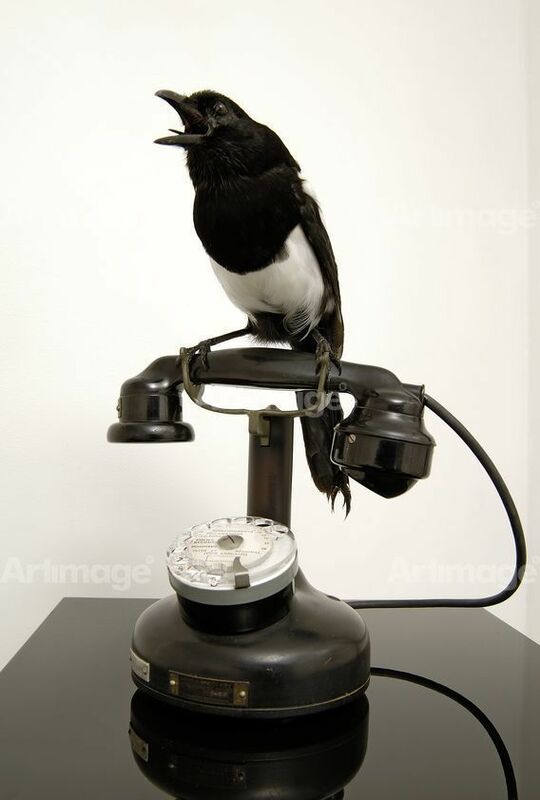 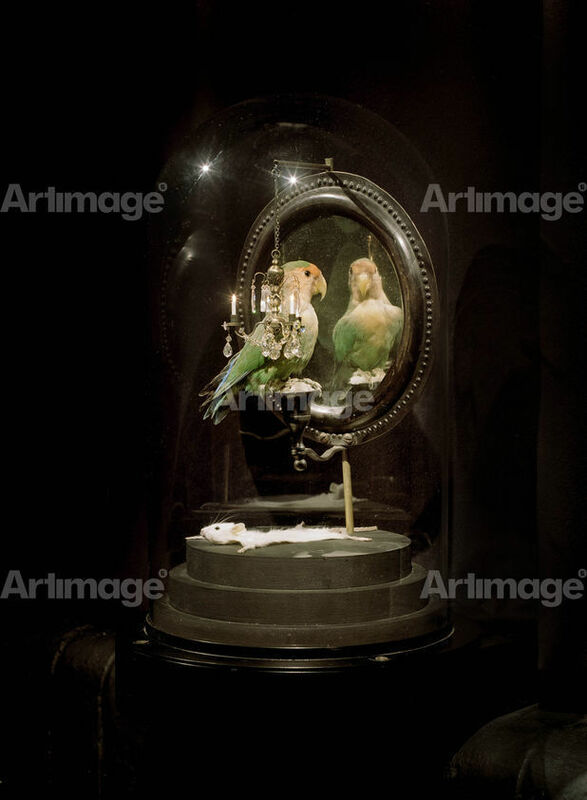 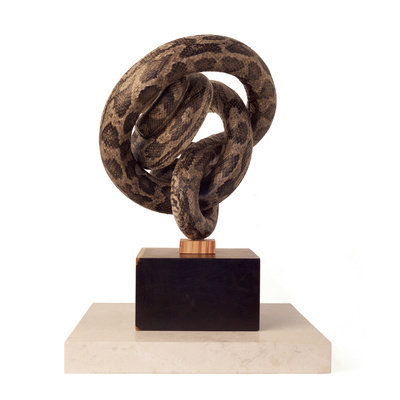 Often using animals which evoke connotations of dirt and disease such as rats and pigeons, Morgan contradicts viewer expectations by pairing these animals against beautiful object surroundings, such as chandeliers and champagne glasses. 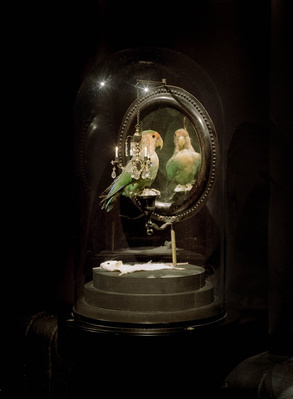 Her works actively dismantle the traditional notions of taxidermy often associated with the Victorian era. 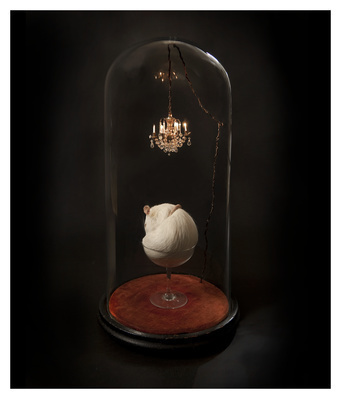 She has exhibited widely, with notable solo exhibitions being held at the Horniman Museum, London, Other Criteria Gallery, New York and Haunch of Venison Gallery, London. 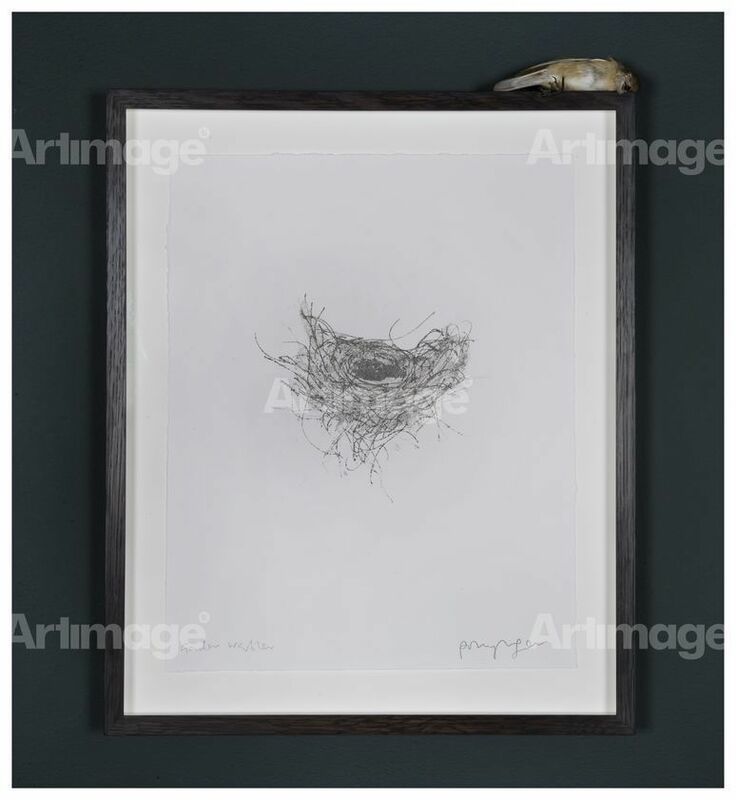 Her works are held in multiple public and private collections internationally, including the Zabludowicz Collection, David Roberts Art Foundation (DRAF), The National Museum of Women in the Arts, Washington DC and The New Art Gallery Walsall. Polly Morgan lives and works in London, England.